Portland calls for a new kind of shopping experience. Its climate and culture lead us to an urban indoor/outdoor space for eating, drinking, and shopping. 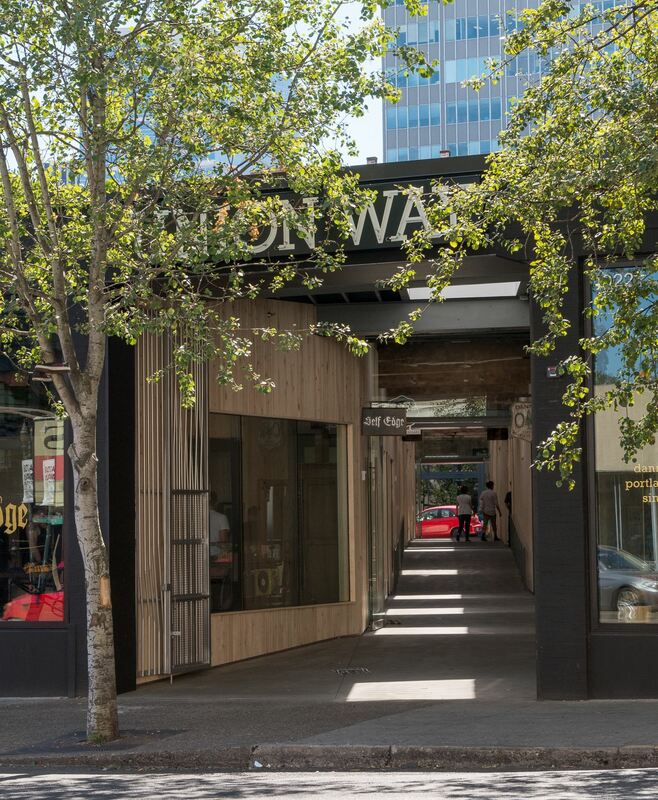 Union Way finds its origins in the streets and alleyways of Europe, Asia, and the Middle East, and serves as a counterpoint to the typical urban retail block or the suburban festival marketplace. The public promenade draws people through the building, which is bookended by Powell’s Books, a major retail destination and The Ace Hotel, an iconic contemporary hotel. Union Way houses a collection of carefully curated shops and restaurants providing an authentic and unique shopping experience while adding energy and momentum to the West End neighborhood. Since the alley is a private walkway through the block, new types of ways to eat, drink and shop have emerged and end in an exciting symbiosis between merchants and their customers.